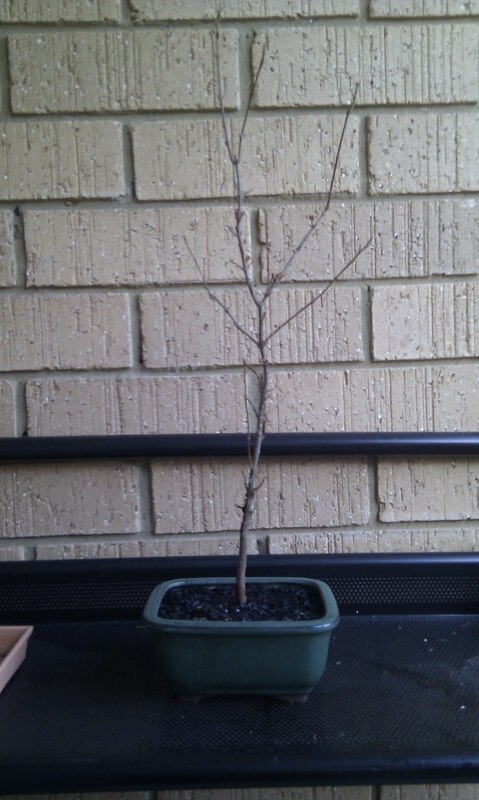 I decided to repot this little Trident Maple recently. As it is basically just a stick in a pot at this stage (even more so now that it is winter an has lost all of its leaves) my plan for it is to continue potting it up into ever larger containers to build the size of the trunk, all the while working on its roots. With this in mind I moved it from its black plastic container to what I will admit is a very ugly bonsai pot, however, it is roughly twice the size of the old pot and nice and deep, both of which will help with the growth speed of the tree.